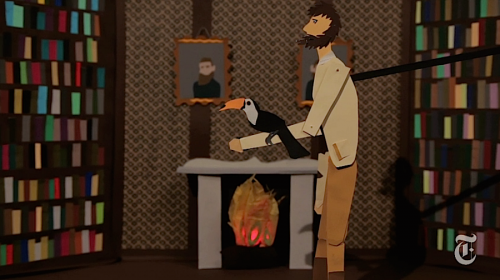 An illuminating animated story seeks to restore British naturalist Alfred Russel Wallace to his proper place in history. Wallace’s name has been largely forgotten even though he formulated a theory of natural selection at the same time as Charles Darwin. Berry’s words set up the story of Wallace and his contributions to science. 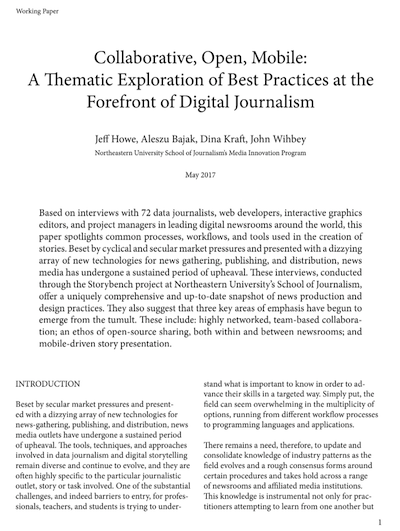 But they do not appear in a news article, a podcast or a traditional documentary. They are instead woven into an inventive paper-puppet animated series called “Animated Life” on The New York Times’ website. 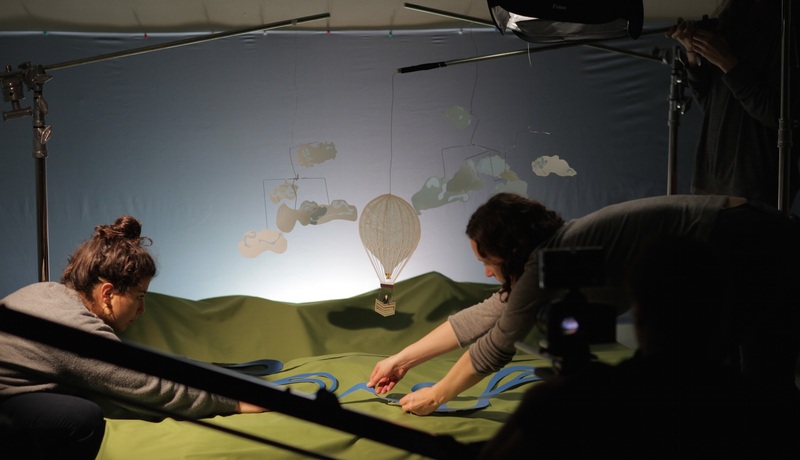 In the inaugural New York Times Op-Doc episode “The Animated Life of A. R. Wallace,” the series’ co-creators Flora Lichtman and Sharon Shattuck use paper puppets, tight digital camera shots, creative set design and eloquent scientists to tell wondrous, whimsical stories of scientific discovery. Storybench asked Lichtman and Shattuck to take us through their painstaking process. 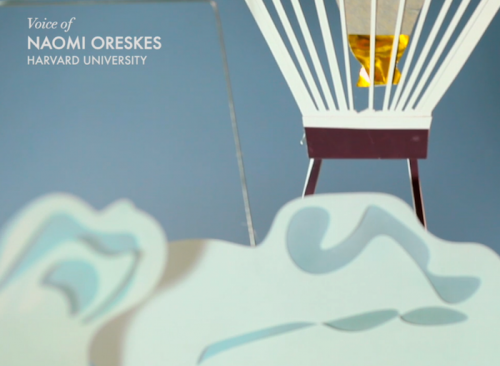 Flora Lichtman, a radio producer and video journalist, and Sharon Shattuck, an animator and filmmaker, started working together on an animated short for the radio show Radiolab. To accompany a radio segment (26:45 start) on what happens to a whale carcass when it reaches the sea floor, Lichtman and Shattuck illustrated, with puppets and panning camera shots set to classical music, what kind of life the whale’s death had spurred. “Sharon had done stop-motion and I had done collage stuff,” explains Lichtman. “Sharon said let’s see if we can film live action with puppets.” The response was encouraging. “We realized that people appreciated it,” says Shattuck. They wanted to make more so they pitched Jason Spingarn-Koff, commissioning editor for opinion video at The New York Times. “We didn’t have firm commitment from Jason until the Wallace piece was done,” says Lichtman. “It was a risk. We didn’t know if it was going to end up anywhere. 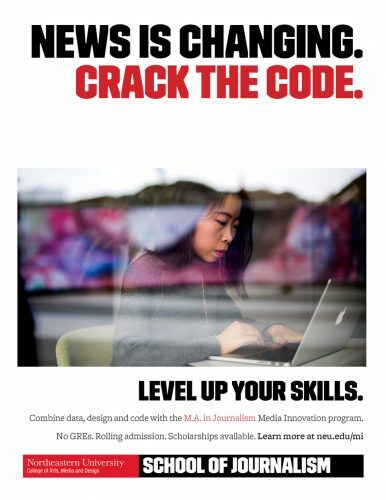 But we were doing it because it was fun.” Luckily, they received around $5,000 of funding from the San Francisco Exploratorium and the Howard Hughes Medical Institute to complete the animation, which took several months. Lichtman and Shattuck didn’t initially think of themselves as puppeteers. But with each episode, their paperwork gets more and more intricate. 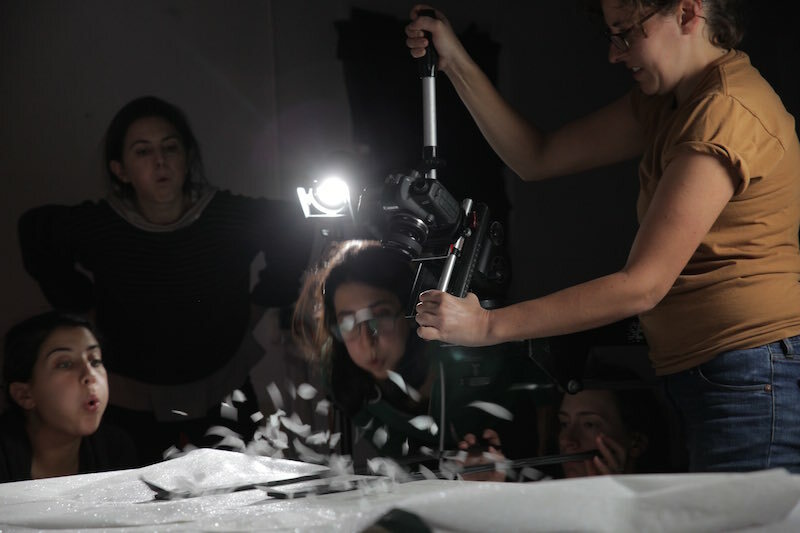 They, with the help of production designer and lead puppeteer Emma Wiseman, are able to create ornate sets, colorful expansive backdrops, and dynamic characters and props all with deft strokes of an Exacto knife. And recently, they began to incorporate a tool they have nicknamed the “game-changer.” It’s called Silhouette Studio and it streamlines the process of exporting a design from Adobe Illustrator to an electronic cutting machine. “It feels like cheating,” says Lichtman, but it allows for much higher resolution design and cutting. 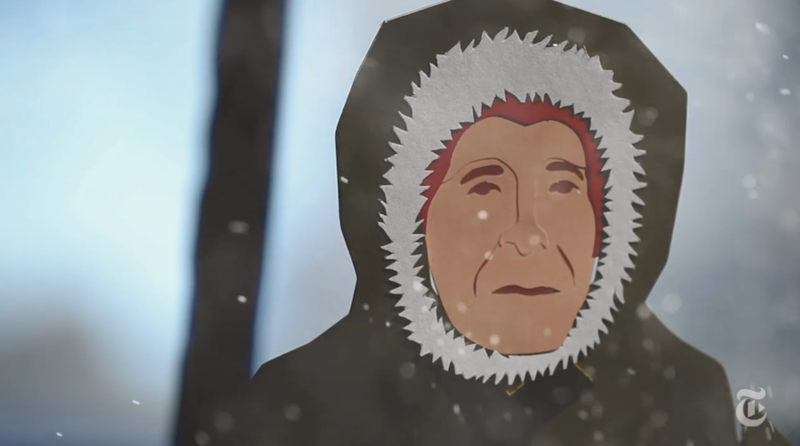 They used Silhouette Studio for the head-on shots of polar explorer Alfred Wegener in their most recent episode. Each episode takes a lot of helping hands. From decorating the sets to simulating snowfall to composing the shots, Lichtman and Shattuck enlist the help of more than a dozen people. 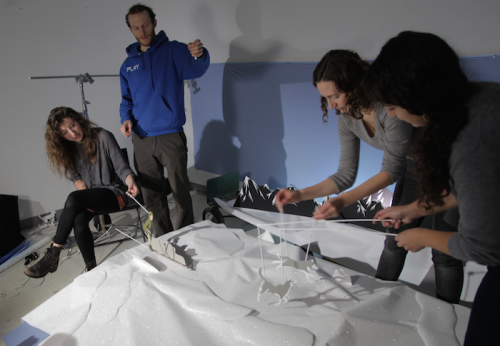 For the Wegener episode on the continental drift theory, for example, they had more than a dozen puppeteers pulling and pushing and bringing the characters and cutouts to life. The Animated Life episodes are shot either on a Canon C-100 or a Canon 5D Mark II. To get the proper lighting, though, the team has tried out some creative, do-it-yourself solutions. 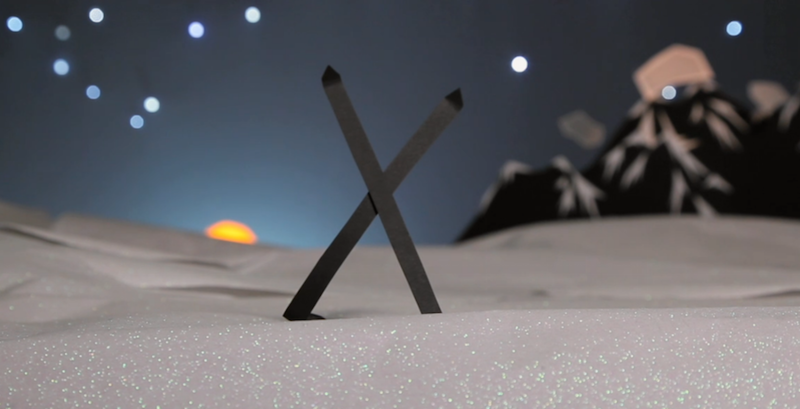 The stars, for example, are made by punching gumdrop-shaped LED lights through a black sheet. They’ve also found a high quality paper called Color-aid that adds extra texture to close-up, interior shots. Having a mix of voices is important to moving the story along. It also helps keep a scientific concept from being too dry. “We think consciously about making the voices as diverse as they can possibly be,” says Lichtman. “And it’s good to have the voices sound different.” For the latest episode on Pangea and continental drift, Lichtman and Shattuck brought together interviews with author Mott Greene, historian of science Naomi Oreskes, and geologist Roger McCoy. The scientist telling the story needs to be engaging, eloquent and whimsical. In science journalism, many stories are rendered dry by a dull interview subject. But Lichtman and Shattuck are able to elicit a wonder and passion from their narrators that is contagious—perhaps enough to spark a new wave of scientific explorers.